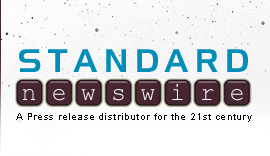 LA MIRADA, Calif., Dec. 5, 2018 /Standard Newswire/ -- Respected Christian broadcasting veteran Wayne Pederson has joined FEBC (Far East Broadcasting Company, www.febc.org), as liaison to the pioneering radio ministry's USA President and CEO, Ed Cannon. Photo: Veteran Christian broadcasting leader Wayne Pederson has joined FEBC (Far East Broadcasting Company) as liaison to FEBC USA President and CEO, Ed Cannon. Currently marking 73 years of proclaiming the gospel to some of the most remote parts of the world, FEBC continues to further its reach through the addition of new stations, Internet broadcasting and by adopting new media, including streaming, podcasts, and social media. Through its 149 transmitters and stations, FEBC reaches a potential audience of 3 billion people, with a focus on those with little or no access to the gospel. Almost 900 hours of programming are offered daily, in 113 languages and dialects and some 50 countries. "It's been my career passion to use Christian media to spread the good news to the farthest corners of the earth, to those who have never heard," said Pederson. "Now, it's a privilege to link up with such an outstanding global ministry as FEBC. I have huge respect for its significant outreach and the measurable results in the least-reached places of the world—seven million listener responses last year, for example." Pederson's appointment reunites long-time friends and former colleagues at Moody Broadcasting Network, where he was head of broadcasting when Cannon was executive vice president. Cannon was "an outstanding leader, with that rare combination of a great business mind and a heart of compassion," Pederson said. "I'm delighted to be working directly with Wayne again," said Cannon. "He brings a wealth of wisdom and experience to this new ambassador role, and I am looking forward to how our work may be advanced through his involvement." 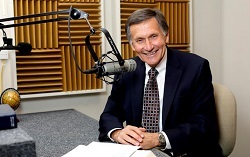 Pederson retired as president of Reach Beyond in 2016, having led the Colorado Springs, Colo-headquartered international broadcast, health care and leadership development ministry for eight years. Prior to that, he served at Moody Radio and Northwestern Radio in Minneapolis. He received the 2018 NRB William Ward Ayer Award for Distinguished Service at Proclaim 18, the NRB International Christian Media Convention, in Nashville, Tenn., earlier this year. Pederson noted how his working alongside the president of another radio ministry after stepping down from that same role at Reach Beyond highlighted the collaborative spirit among those involved in world evangelization. "We are all in this endeavor together," he said. "There's no competition here. Only cooperation and collaboration. There's lots we can do together. There are still 1,900 unreached language groups. Christian media is the most effective way to reach the 3 Billion who have never heard the Good News." FEBC (Far East Broadcasting Radio, www.febc.org) was founded in 1945 to share the gospel in Southeast Asia. Today, more than 900 staff and almost 2,000 volunteers produce around 850 hours of programming each day, broadcast across Southeast and Central Asia, the Middle East and Africa. Programs in 113 languages air from 149 stations.